I grew into climbing at a camp I worked at during my time working at a summer camp after each year in college and into the following three summers. After the first couple years, I started leading the climbing, rappelling, and high elements courses and those activities became a staples of my life, both for working out and enjoyment. Since then, my appreciation and participation in climbing has only grown and can say honestly that I’ve never seen anything quite like an Arc’teryx harness. I had used Edelweiss harnesses, which were durable but uncomfortable. I upgraded to a Black Diamond harness that worked really well and was an upgrade in both comfort and technicality. But neither of those touch the technical precision, strength, and unobtrusiveness of Arc’teryx’s adventure sport beauties. They look thin (because they are) and uncomfortable (though they aren’t). But when you put it on and put your weight into it, you learn the truth. The main difference is that Arc’teryx takes two very wide strips of material (4+ inches tall) and thermolaminate them together, which gives you much more surface area for support. They are downright comfortable. Other harnesses look more padded, but what holds you is a 1-inch-thick strap in the middle of that padding that still cuts into your sides after long days of climbing. 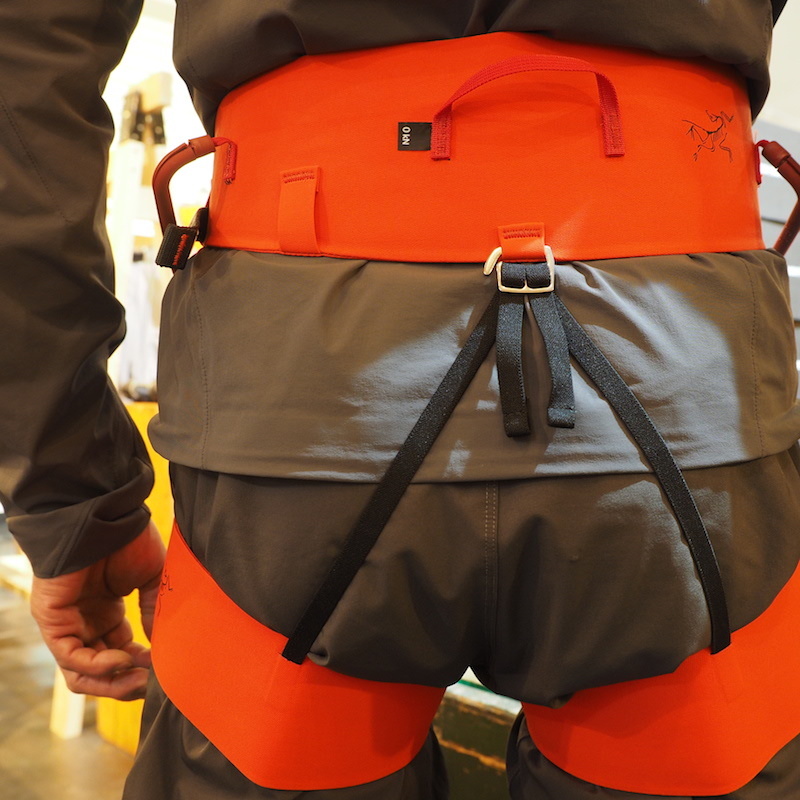 The connecting straps on the Arc’teryx harnesses are smaller too, as are the buckles. The only things that aren’t measurably smaller are the gear loops—which is obviously an excellent thing. There are no reasons not to love these wonderful harnesses, so make one a staple in your climbing gear arsenal to spur you on to success.